MS Round Bars are used by forging industries, bright bar industries, auto-ancillaries, foundation and anchor bolts, pins, rollers, bushes, and many more engineering industries. 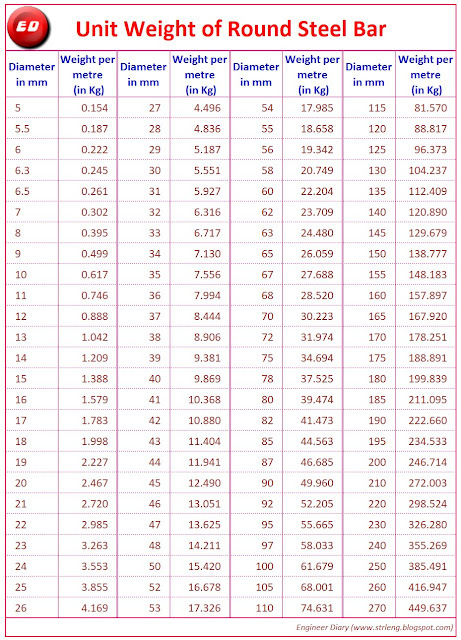 Unit weight of MS Round Steel bar is below. 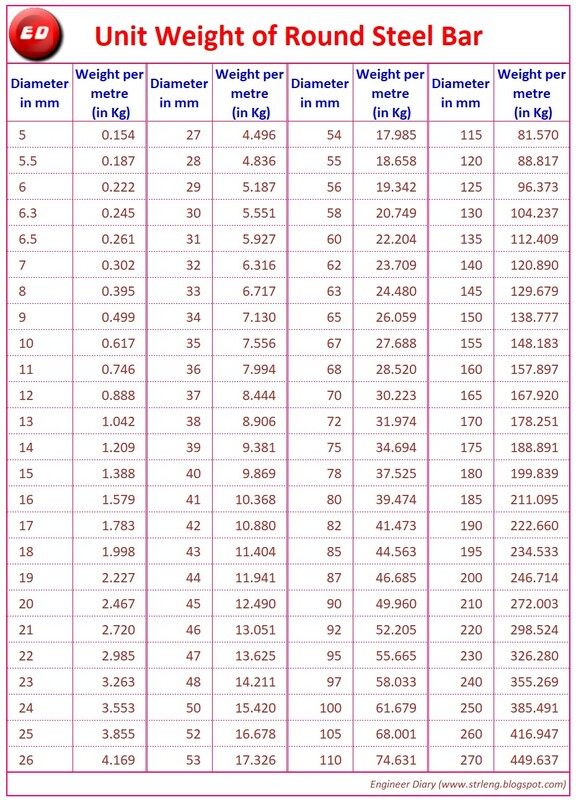 Above table is calculated for 0.7850 kg/cm per meter. 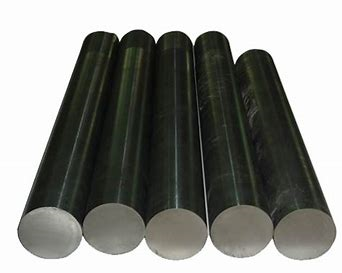 IS code for round steel bar IS: 1732-1989. Prefix ISRO to be added before the diameter to identify the round bar. Example 50mm round bar is to be written as "ISRO 50"
Best Quote :Do the difficult things while they are easy and do the great things while they are small. A journey of a thousand miles must begin with a single step. Australia Best Tutor is providing online Assignment Help Services for colleges and universities students. Here Students are getting best results and better grades.